VAXELIS is the first hexavalent (six vaccines in one) drug to be approved in the U.S. and is being hailed as the solution to the increasing number of injections children receive during physician visits. In their first year of life, children routinely receive over 25 vaccines, some administered just hours after birth. Safety concerns have continued to grow as increasing evidence points to vaccines as a cause of many childhood illnesses and even death. The efficacy of these drugs has been hotly debated, though the CDC states unequivocally that vaccines are both safe and effective. Unfortunately, the standards for safety testing vaccines are significantly lacking. For starters, vaccinated patients are not tested against an unvaccinated control group, but rather against patients vaccinated with other drugs. New vaccines are routinely tested against confirmed dangerous ones in order to arrive at what appear to be positive outcomes. Without a control group, these studies are incapable of accurately measuring the frequency and causal relationships of the vaccines they study. The duration of these studies is also much smaller than any other drug seeking FDA approval. While most drug studies last for months or even years, vaccines are only evaluated for a few days or weeks. There’s evidence that the preservatives in these vaccines, like aluminum and mercury, are directly related to the alarming rise in autism diagnoses in America. Additionally, manufacturers in the U.S. are relieved of any liability for injury or death resulting from their products. Plaintiffs are not able to sue the manufacturer for damages but are instead required to go through the Vaccine Injury Compensation Program (VICP), in which victims end up suing their own government in a specially appointed court. The lack of adequate studies makes it hard for plaintiffs to prove that vaccine manufacturers are at fault. And as long as the manufacturer isn’t aware of any harmful effects, they retain immunity against legal action. This has resulted in a system in which it is in the company’s best interest NOT to conduct thorough safety studies. Ignorance is bliss. The limited research on the adverse effects of VAXELIS showed some troubling trends, and several children died after receiving the combo vaccine. Lethal side effects included asphyxia (loss of breathing), excess fluid in the brain, “unknown causes”, and Sudden Infant Death Syndrome (SIDS). Somehow, none of these fatalities were attributed to the vaccine, including half that had no other attributable cause. You can read the full insert here. Reclassifying causes of death has directly contributed to the ability of vaccine manufacturers to avoid blame for lethal side effects. 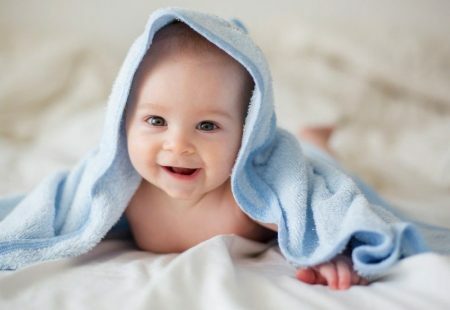 Sudden Infant Death Syndrome, previously known as “Crib Death,” was virtually nonexistent in infant mortality reports before the active push for childhood vaccination in the 1960s. SIDS has been repeatedly reclassified, which is why studies on vaccine safety fail to attribute these fatalities to the vaccines in question. This is especially interesting because the package insert that accompanies the vaccine (which most patients will never see) uses similar language regarding adverse effects, recommending that parents evaluate the risks of immunization against its benefits. But how accurate are these studies? Even the creators of this new vaccine admit that the research is not adequate. There are other issues with these studies. Both participants and the “control” groups received various additional vaccines, rendering potentially important data statistically insignificant. The control vaccine also had reports of seizures, convulsions, immune disorders, and insufficient oxygen in the blood. Hardly a high bar to set. And because VAXELIS was compared with and against a vaccine known to cause these adverse effects, it is impossible to determine if these problems are a direct result of the combo drug, or simply a known problem with the control drug. Adverse effects were also self-reported by parents, further reducing the accuracy of the studies. Rather than being monitored by medical professionals following vaccination, these children were sent home. Untrained parents were then responsible for monitoring and accurately reporting adverse effects in their children. Still, the drug was approved, and will soon be administered to millions of young children. With so little information on the safety and efficacy of these vaccines, it’s worth looking at the manufacturers. Ethical companies often go above and beyond to ensure that their products are safe for consumers. Unfortunately, this is not the case when it comes to VAXELIS. Merck and Sanofi, the companies responsible for the development and safety testing of VAXELIS, are major players in the pharmaceutical industry. Both companies have poor track records when it comes to ethics and consumer safety. Merck is one of the biggest vaccine manufacturers in the U.S. and has been involved in several lawsuits alleging misconduct, falsifying research, and influencing government oversight. 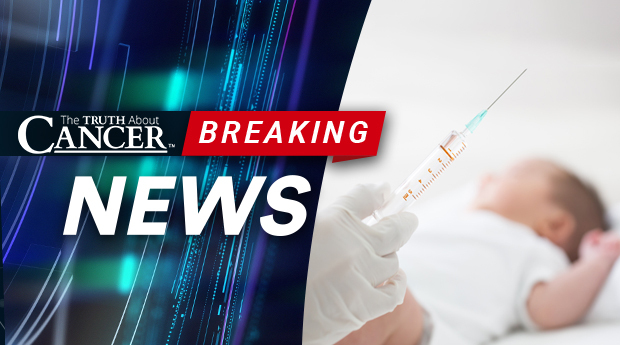 One ongoing lawsuit began in 2010, when 2 former employees accused Merck of defrauding the U.S. government by selling 4 million doses of mislabeled MMR vaccine and contributing to recent outbreaks of mumps caused in part by their ineffective vaccine. The woman in charge of the CDC’s Immunization Safety Office helped to keep Thompson quiet, insisting on the safety of the vaccine. She later took a job with Merck with a salary and stock options worth millions. And the MMR isn’t the only vaccine for which Merck has been accused of fraud. The HPV vaccine has more documented cases of adverse reactions than any other vaccine in the world but is still regularly administered in the United States. Merck has been sued and stands accused of aggressively marketing their HPV vaccine, GARDASIL, while deliberately withholding information regarding its safety from consumers and federal agencies. Merck’s partner is no better. Recently, Sanofi payed over $100 million to settle allegations that they had violated the False Claims Act by offering kickbacks to physicians who purchased or prescribed their products. As if relaxed research standards and removal of liability for their products weren’t enough, Sanofi is just another major pharmaceutical group engaging in deceitful marketing practices and bribery to maximize profits. The health and wellbeing of consumers doesn’t seem to be a concern for these pharma giants at all. In addition to safety concerns and the atrocious track record of the manufacturers, we also need to ask ourselves: how does injecting 6 different antigens into a 6-week old infant effect long-term development? Despite CDC insistence that vaccines are the only way to protect young children from disease, there is evidence that these vaccines can prevent the development of the body’s natural immune system. You see, infants are born with very susceptible immune systems. In fact, for the first month or so, most of the baby’s immunity is passed on from the mother. Their immune systems develop over time as they encounter various viruses and germs, but the process takes time. Infants have weak immune systems that can be compromised by such a heavy load of antigens and toxins at such an early age. Suppressed immune response helps infants develop healthy gut bacteria, which is essential for building a strong immune system. But vaccines work by using toxic adjuvants – like aluminum and mercury – to induce an inflammatory response. This puts the immune system on the defense during a critical time during which healthy bacteria need to be introduced to promote healthy gut flora. The body is shocked into a protective mode that prevents the healthy bacteria from getting in. Many doctors support the idea that immunization protects infants during a vulnerable period in their immune development, but the truth is that this barrage of vaccines can permanently and negatively affect the child’s development, resulting in metabolic disease, allergies, and autoimmune disease. We’ve covered the way that the media has attacked and censored anyone who questions the safety and efficacy of vaccines. In an industry that generates billions of dollars in annual revenue, the ability to write the narrative on vaccines is substantial. And while the new combo vaccine is being touted as a medical breakthrough, children continue to become ill and die, and Big Pharma continues to profit. We need to demand more from these companies, from the government agencies charged with their oversight, and from media that continues to silence those who ask questions. Currently, all 50 states require vaccination before children are permitted to attend school, creating a medical militia that forces parents to inject their children with poorly tested, unproven, and toxic substances in order to participate in our society. Informed consent is virtually nonexistent due to insufficient research standards, media censorship, and rampant fraud among manufacturers. We believe that everyone has the right to decide what goes into their bodies. 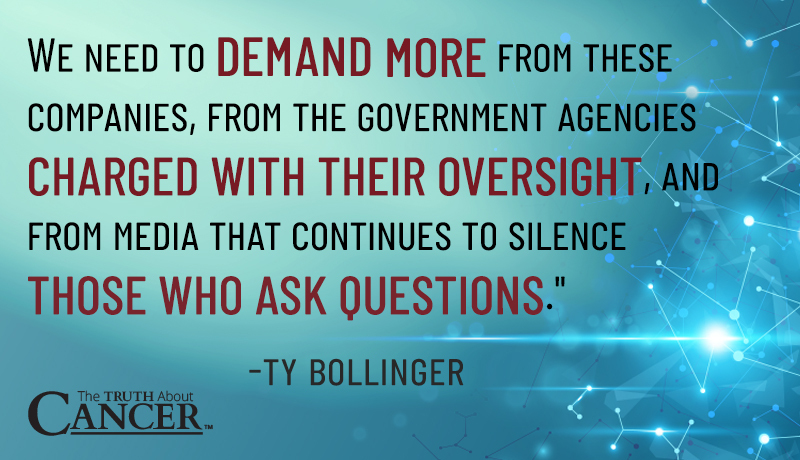 From vaccines, to chemotherapy and GMOs, our ability to make informed decisions is under constant attack. At TTAC, we will continue to provide information that Big Pharma doesn’t want you to know. We’ll continue to cover breaking medical news, provide information on natural therapies to treat and prevent disease, and continue our quest for the truth. Discover more hidden information about vaccines in The Truth About Vaccines docu-series! 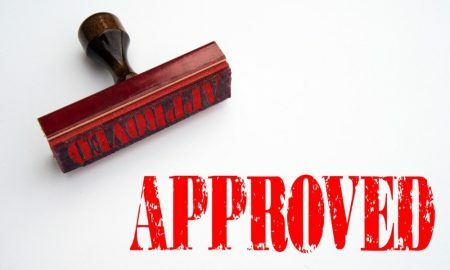 The FDA has approved VAXELIS, a new 6-in-1 combo vaccine created by pharmaceutical giants Merck and Sanofi, for infants as young as 6 weeks old. The new vaccine is intended to reduce the amount of physical injections by combining more vaccines into one shot than ever before. Though VAXELIS has been approved for children as young as 6 weeks old, rudimentary studies show that the combo vaccine is not safe. Several children died during clinical trials, and though no deaths were blamed on the vaccine, half of them resulted from “undetermined causes”. Sudden Infant Death Syndrom (SIDS) was among the “undetermined” causes of death in the study. SIDS has been shown to be correlated with vaccines. Like most vaccines, the safety research is inadequate, and the manufacturers have a history of deceitful marketing practices and bribery. At 6 weeks, infant immune systems are not equipped for the massive toxic load of this vaccine, and patients are liable to experience severe developmental defects as a result. It is the FDA’s fault because they helped get Congress to OK it that Big Pharma pys the FDA’s salaries in 1992. The FDA is supposed to be there to protect us but now they help Big Pharma, no one cares about the people. To do this to small babies is awful, and the parents pay for it for the rest of their lives.I know I’m a caregiver, my husband had a bad Hemorrhagic stroke 11 yrs ago. I can’t imagine what it is like to be one your whole adult life. I had a customer whose son had spinal meningitis at 18 mos. and was misdiagnosed, it gave him cerebral palsy. She took care of him for 70 yrs. She ask God to take him first, so she would have to worry about anyone else taking care of him, and then for her to have 2 yrs after he was gone. She past 2 yrs and 2 mos after. Please edit this…. The only state that you have an issue with vaccinatons being mandated, is California. Everyone can look up their states vaccine exemption information and apply. NY is looking to mandate the vaccines by taking away religious exemptions. NJ looks like it has already tried to put that in place. Mississippi and West Virginia have no exemptions. Thank you for this most important info..I will be sharing it via social media and word of mouth. An adult has the choice to vaccinate or not. Children don’t. You are doing an incredible job speaking out for the children. thanks for this article..i have avoided vaccines ever since i had a Tetanus shot at the age of 33 and came down with lock jaw within days. The doctor was like “it cant be possible because it was a killed vaccine but it must be”..at last he admitted it has to be the vaccine. One of our dogs died from a Rabies vaccine and that started our vaccine quest for knowledge…we are killing our kids and pets with all these vaccines. Thanks for starting this movement!! Yes, thanks for continuing the movement that has been going on for years. Some have been fighting against vaccination in Australia for around 30 years, but still being ignored by the government, the medical mafia and the mainstream media. I started investigating vaccines 22 years ago, and have been warning everyone I can since then. Vaccination started with a scratch to the skin with one disease and has developed into a satanic ritual of poisoning, in the name of greed, population reduction and brain damage to the masses. Years ago I was attending a Cancer Control Society conf. in CA. There was a seminar by a lady veterinarian who said that she knew of major problems with puppy vacines. She spoke with a veterinarian who worked in a rural area where he made about $5000/month just from the vacines. Sometime after she spoke with him.and he realized there could definitely be a problem, he vaccinated a potentially excellent show puppy who died soon after being vaccinated. He quit the vaccinating of puppies. I am definetely against vaccination e ven on seniors like me. Unfortunatelly I can not convince my daughter because she is a doctor and I am not . there is a Pinterest “share” button on the header….Pinterest is censoring Natural News and this vaccine info newletters and website, also GreenMed website….how can we get around this censorship and save these articles…is there another conservative place to save things that are censored by google, pinterest, facebook, etc??? Is there a petition we can sign to stop this??? If not, please get one going. I have no idea how to do that kind of stuff. We’ll be sure to pass along this idea on your behalf. Please read Vaccines Did Not Cause Rachel’s Autism for rational, scientific information on vaccines.